This entry was posted in Windows Home Server on October 30, 2014 by Community Headlines. By Philip Churchill CloudBerry Backup has been updated to version 3.9.6. This latest version now brings support for both the AWS China (Beijing) region and the AWS EU (Frankfurt) region. Users of all standalone CloudBerry Backup products have an option to store files in the China (Beijing) Region. All the functions and features of AWS and CloudBerry Backup are fully supported. 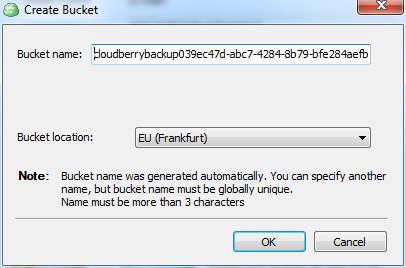 CloudBerry Backup also supports the new region - AWS EU (Frankfurt) - that was recently announced by AWS Amazon. You can either create or select an existing Amazon S3 bucket or vault in Glacier located in the AWS EU (Frankfurt) region. More details are available from here. 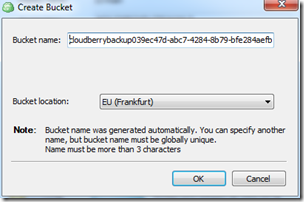 CloudBerry Backup v3.9.6 is a post from: MS Windows Home Server - Your Personal Guide to Microsoft Windows Home Server!